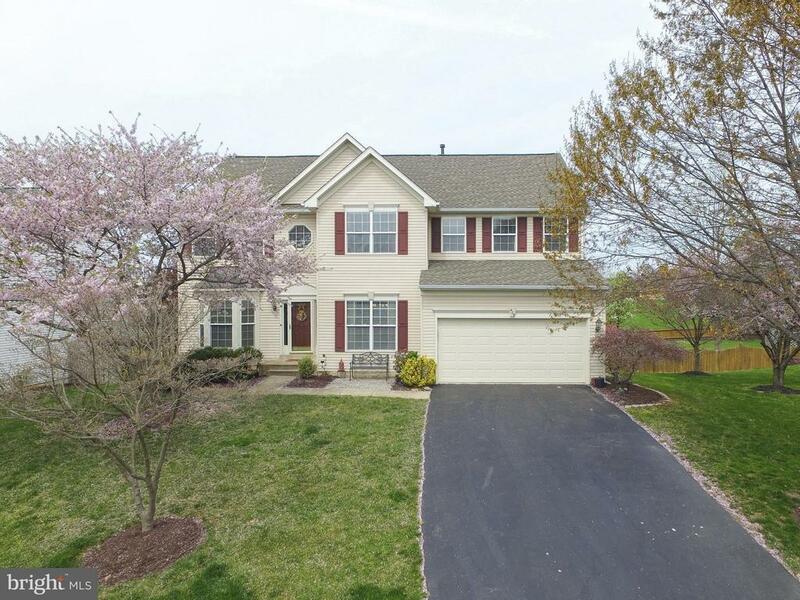 Original owners have lovingly maintained this 5 Bedroom, 3.5 Bath Overton III by Richmond American Homes. With extensive custom improvements throughout, this home shows like a model. From the open floor plan with a soaring 2-story family room & floor-to-ceiling brick fireplace to the finished walkout basement with custom bar, game room & den, you have found the ultimate home for entertaining. Summer months will be spent lounging by the heated pool with adjoining hot tub. Dont wait too long to visit this beauty... This is truly a one-of-a-kind property. Recent updates include a new roof, water heater & upstairs heat pump. Directions: From Route 7, take the 287 S / Berlin Turnpike exit toward Purcellville. At the traffic circle, take the 2nd exit onto 1610. Pass Blue Ridge Middle School, then turn L on Valley Springs Dr. Turn L on Crosman Ct.